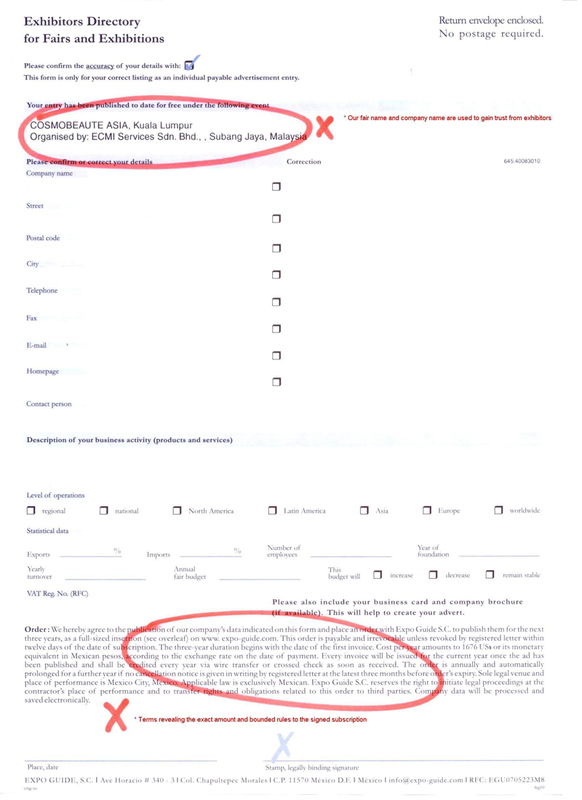 We noticed that the our fair name “Cosmobeauté Asia, Cosmobeauté Vietnam and Cosmobeauté Indonesia” has been used of by an online fair guide, Expo-Guide (owned by Commercial Online Manuals S de RL de CV in Mexico) which targets & invites our exhibitors to subscribe and sign up for on-line listing order but does not inform the respondents explicitly that their action will bind them to a THREE (3) year advertising contract and annual advertising fee. 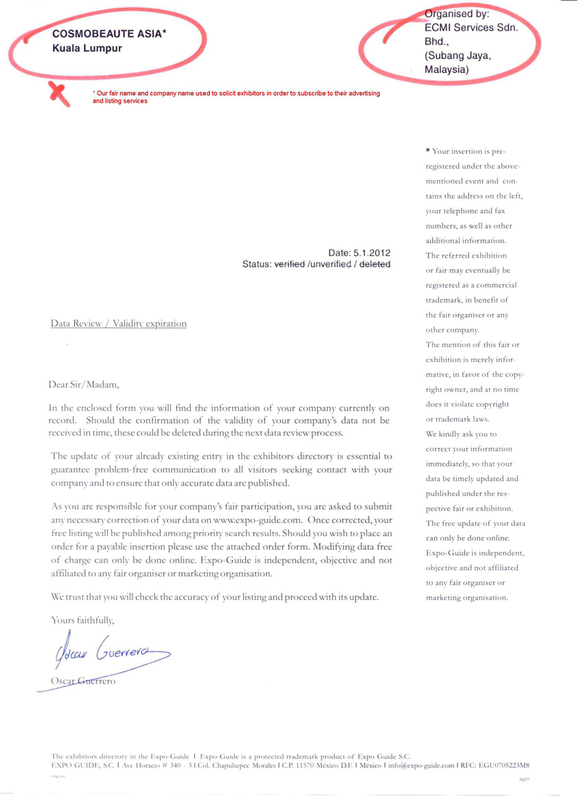 Whenever you receive an invitation to supply on-line company with your brochures together with an authorized signature and implies that their service is free in the introductory paragraph, please read the fine print at the end of the invitation carefully before you respond or commit. We would also like to clarify that our Cosmobeauté Asia, Cosmobeauté Vietnam and Cosmobeauté Indonesia’ s Show Update, Show Preview and Show Directory are the only official fair publications and , www.cosmobeauteasia.com is the only official website.